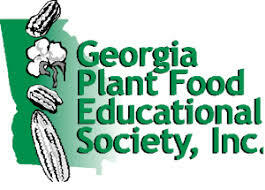 The Georgia Plant Food Educational Society is pleased to announce the availability of Undergraduate Scholarship Programme. These scholarships are awarded in soil and plant science or related field of study. The aim of the scholarships is to promote agricultural education programs, cooperate with all agricultural agencies including the University of Georgia, and to promote agronomically and environmentally sound use of plant food by farmers. Georgia Plant Food Educational Society (GPFES) serves as an information conduit between University of Georgia Researchers, Manufacturers, Dealers, Government agencies, and ultimately; growers. Course Level: Scholarships are available to pursue the undergraduate programme. Study Subject: Scholarships are awarded in soil and plant science or related field of study. Eligibility: The student is attending a degree-granting institution in Georgia. Priority will be given to the relevance to GPFES educational objectives and includes the disciplines of agronomy, horticulture, ecology, soil fertility, soil chemistry, plant physiology, and other areas related to soil fertility and plant nutrition. Nationality: Georgian applicants are eligible for these scholarships. Entrance Requirement: Applicants must be degree students. A complete Application Packet should include the completed application form, transcripts of all college courses (including cumulative GPA), and three letters of support, of which one must be from the applicant’s advising professor. Submit all documents, transcript, and support letters in one packet.